We’ve delivered exceptional roofing services to Grand Rapids and the surrounding areas of West Michigan for over 35 years. Over the decades, our multi-generational family owned and operated company has grown to over 30 employees, and we all live in and care about the communities we serve. While building our business, we’ve earned a solid reputation for outstanding workmanship and customer service, and you can see the evidence in our A+ accredited Better Business Bureau rating, our Angie’s List Super Service awards, and numerous five-star reviews from satisfied customers with Guild Quality. The team here at Moore & Sons Roofing brings over 70 years of combined industry knowledge and experience to every roofing job we complete. 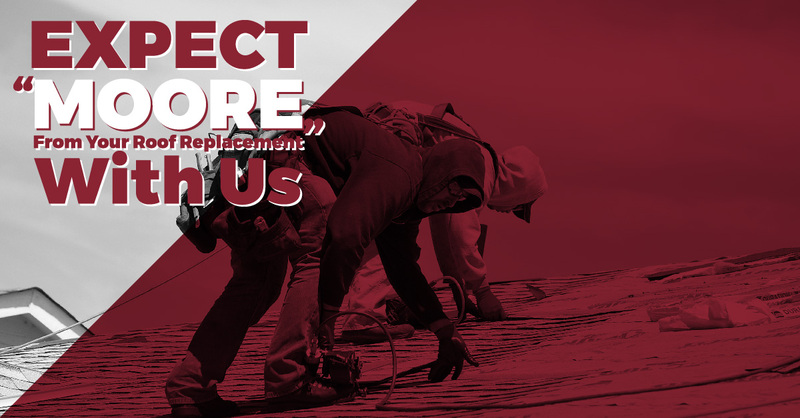 We’re well-versed in all aspects of residential roofing – from new construction, repairs and restorations to complete tear-offs and replacements. With our wealth of experience, we understand exactly what it takes to craft a long-lasting roof that’s able to withstand our local climate extremes to ensure that your home and family stay safe, dry and secure in all kinds of weather. We also believe that every homeowner deserves an expertly-installed roof of the finest materials, so we’ve gained certification with the industry’s most reputable roofing manufacturers. Our Platinum Preferred Contractor certification, awarded by industry-leading Owens Corning, tells you that they’ve verified our knowledge of roofing best practices, our commitment to superb workmanship, and our sound, ethical business practices. In addition to providing invaluable peace of mind, our Platinum Preferred status can also allow you to protect your new roof system with the industry’s best warranty that includes up to a lifetime of workmanship and material coverage. If you’re planning to replace the roof on your Grand Rapids’ area home, contact us today at Moore & Sons Roofing to learn about our exceptional installation services and commitment to customer care.